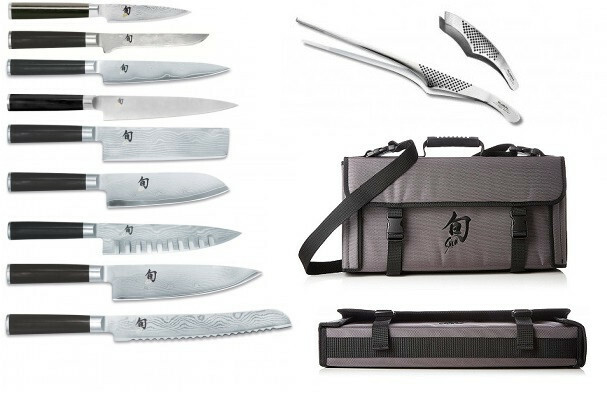 The 9 precious damascene kitchen knives of Kai series Shun Classic, contained in a Kai holding case, are completed with Global pliers and an apron with the Kai Japanese logo. 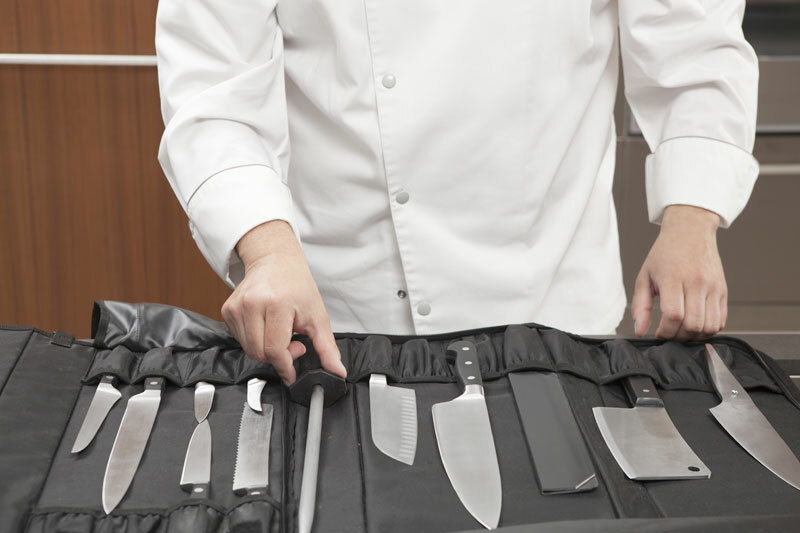 For professional cooks, enabled to have in a case the most excellent kitchen instruments, damascene knives having a great success with culinary élite, to work without compromise with the best of damascene cutlery. Shun professional knives are made with an inner layer in VG-10 super steel extremely resistant to corrosion and very hard (61±1 HRC, 1,0% carbonium, 1,5% cobalt), allowing to maintain the blade always sharpened in an unequaled way. The outer side of the blade is made in damascene stainless steel of new generation having 32 layers. 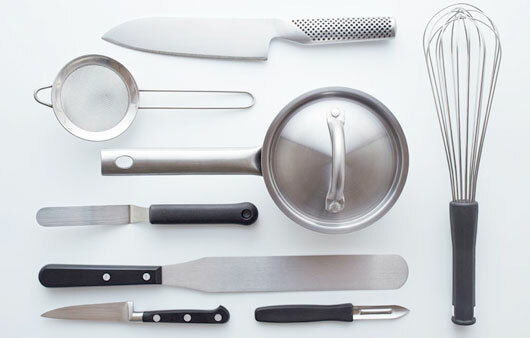 Thanks to the convex surface of the blade and to the manual sharpening of every Shun knife, an unequaled cutting-edge is obtained and the knife slips also through the most difficult foodstuffs to cut. 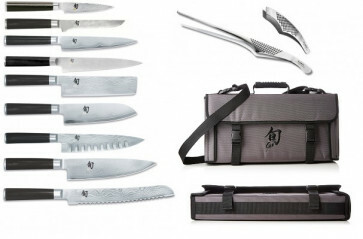 This cutting-edge together with the balanced weight of the knife allow to work without effort. The damascene veins give every SHUN knife a special character and every knife becomes a unique item – a work of art enclosing craft, technics and design.